The new 2017 Mazda CX-3 subcompact SUV may be the smallest and most inexpensive of the brand’s sports utility offerings, but that doesn’t mean that it should be underestimated. After all, the luxurious and stylish vehicle is chock full of driver-friendly amenities, and the powerful engine is competitive with the units included in much larger vehicles. It starts with the brand’s impressive SKYACTIV-G 2.0-liter engine, which manages to crank out a respectable 146 horsepower and 146 pounds-feet of torque. Meanwhile, engineers included fuel-saving technologies like Advanced Direct Injection and chain-driven dual overhead cams, leading to an eye-popping 34 mpg highway fuel efficiency (when equipped with the front-wheel-drive automatic transmission configuration). Of course, for only a minimal decline in fuel economy, the i-ACTIV all-wheel-drive system is intended to keep your new SUV on its intended path, regardless of the road conditions. Incredibly, the inside of the CX-3 may be more impressive than the happenings under the hood. The Kodo “Soul of Motion” design emphasizes both style and sportiness, as the interior is as luxurious as it is athletic. Of course, the interior is also notable for the incredible amount of cargo room, as drivers can easily take advantage of the 44.5-cubic feet of space. Plus, thanks to the 60/40 split fold-down seatbacks, drivers can finagle the interior to fit any combination of passengers and cargo. This design philosophy also applies to the SUV’s exterior, as the curved angels and sudden lines lead to one of the most intimidating and versatile vehicles in the industry. For all of the stylistic choices included in the CX-3, drivers will likely be most enticed by the various technological inclusions. For instance, the MAZDA CONNECT infotainment system will prove the perfect companion for any long journey, as the system delivers easy access to applications like radio or navigation. Plus, thanks to the Commander Control Knob, drivers will never have to compromise safety in order to capitalize on this useful system. The engineers did an admirable job of designing their 2017 Mazda CX-5 so it wasn’t simply an upgraded version of the smaller CX-3. Instead, this crossover SUV has proven to be its own entity. Of course, similar to any SUV, it begins with the vehicle’s SKYACTIV-G 2.5-liter engine, which manages to pump out 187 horsepower and 185 pounds-feet of torque. 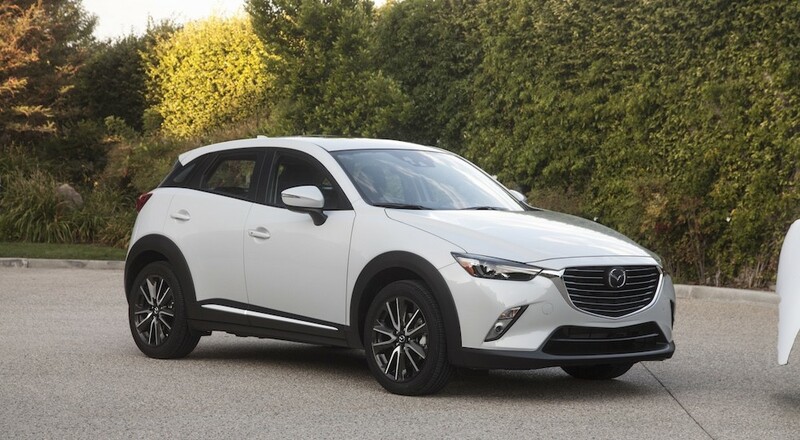 Similar to the brand’s other vehicle offerings, this CX-5 is also chock full of fuel-saving technologies, leading to a 31 mpg highway fuel efficiency (on the front-wheel-drive automatic transmission variation). The rest of the vehicle has seemingly been designed to cater to the driver and their specific commute. For instance, the interior is intended to make any journey more bearable. The cabin isn’t only stylish and impressive, but it also includes features that improve both drivability and comfort. Engineers also included a Power Liftgate, meaning drivers won’t have any issues accessing their SUV’s 56 cubic feet of space (or the accompanying 40/20/40 split fold-down rear seatback). The brand even included sound-deadening materials like sound-insulating glass and extensive seal insulation. This will reduce that sound of your purring motor or howling wind, and it allows occupants to better appreciate the audio that’s coming via the Bose Counterpoint 2 Surround Sound System. Of course, since drivers will be dishing out a pretty penny on their new CX-5, they’ll presumably want the SUV to stay out of harm’s way. Well, Mazda’s abundance of safety functions will certainly make that a possibility. The innovative Traffic Sign Recognition will adapt the vehicle’s mechanics to adhere to any speed limits or stop signs, while the Smart City Brake Support will help anticipate any object that’s suddenly crossed the vehicle’s path. 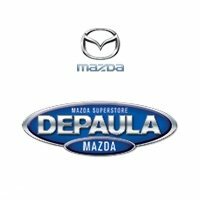 The brand also added their Mazda Radar Cruise Control, meaning drivers can take a brief break from driving without compromising safety. If you were impressed by the available offerings in Mazda’s other SUVs, you’ll surely fall in love with everything that the 2017 Mazda CX-9 can provide to its customers. Whether you value performance, design, technology, or safety, you’ll surely appreciate everything that the CX-9 delivers. Predictably, the large SUV provides the best power specs among the applicable engines, as the SKYACTIV-G 2.5-liter engine promises an astonishing 310 pounds-feet of torque and 227/250 horsepower (depending on the type of octane unleaded fuel). Incredibly, this power doesn’t compromise efficiency, as drivers can still expect to receive up to 28 miles per hour on the highway. Since the vehicle is capable of cranking out so much power, drivers might be questioning their ability to control the SUV. Well, that won’t be a concern in the Mazda CX-9, as the brand’s i-ACTIVSENSE technology is intended to keep drivers out of harm’s way. The SUV relies on cameras and radar detectors to determine when a collision may be impending, and the vehicle can automatically adjust the brakes or steering to preserve safety. Inclusions like the Advanced Blind Spot Monitoring system and Lane-Keep Assist fall under this technology. Meanwhile, engineers included their i-ACTIV all-wheel-drive system to cater to any type of road conditions, assuring that drivers are consistently in complete control of their vehicle. The nine different driving dynamics allows drivers to specifically choose a mode that accounts for road conditions, and the vehicle will automatically adapt to adhere to these requirements.